Royal Langnickel Essentials 5 x 7 WATERCOLOR ARTIST PAD Paper RD368 at Simon Says STAMP! RD368 /3.1 This item is on reserve until If you would like to reserve this item now, you may purchase it now with the rest of your order. We will hold your order now and ship your entire order as soon as this item is back into stock. If you would like your order to ship now, please place this item on a separate order. Success, Royal Langnickel Essentials 5 x 7 WATERCOLOR ARTIST PAD Paper RD368 has been shared! 15 pages of 5 x 7 inches Watercolor Paper!! The perfect size for your purse or backpack. Suitable for use with watercolor paints or pencils. 96 pound weight. NOTE: Cover art may be different than in listing. 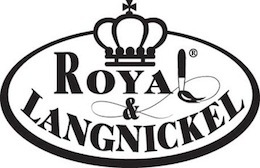 Royal & Langnickel Brush is a leader in the development and manufacturing of superior-grade art, craft and beauty brushes. For nearly 70 years, this family-owned and operated business has built a reputation based on integrity, quality, and innovation. Royal & Langnickel Brush continues to maintain a passionate commitment to excellence and foster a spirit of innovation in The Art of Beauty!